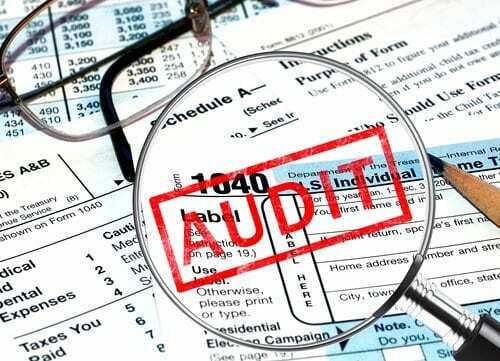 Audits are not pleasant and can unnerve even the bravest and most diligent of taxpayers, but there are ways to improve the process. Using research and expert advice, you can effectively prepare for the procedure and eliminate unnecessary stress. If you’re wondering how to survive a tax audit, scroll down for some helpful tips. One of the best things you can do is consult a professional and learn the correct tax treatment of income, expenses and deductions, and what records you need to keep to substantiate the items on your return. Having good and organized records that match the information on your return goes a long way to setting the right tone for an audit. Hire a tax pro for help. Audits can be complicated and intimidating, especially if you have never dealt with the IRS directly. It is to your advantage to hire a tax attorney or accountant who understands the law and correct tax treatment, with experience with audits, who can help you prepare for a successful audit. Consulting with an expert will give you confidence and a buffer from most contact with the auditor. You can also go over your return and records to determine if there are likely problems, so you can be prepared to deal with them in the audit. More importantly, it will help ensure that the audit goes smoothly and that the IRS agent doesn’t take advantage of your naiveté. Remember that at any point during the audit, you can consult with an attorney or accountant. Postpone the audit if necessary. Note that you should already have your records ready in order to prepare your return (the figures on the return should match your records, and it is a problem if they don’t match). But don’t be afraid to request a postponement to give yourself more time to prepare your records, to obtain third party documents, to consult with your attorney or accountant, or any other reason. It is important that you prepare effectively, and you won’t be penalized for the extra time (assuming you follow the IRS’s protocol and have a valid reason). Never lie to the auditor, but know that you don’t have to provide more information or documents than necessary or requested. For example, don’t feel compelled to provide copies of tax returns from other years that were not requested by the auditor. Simply give the IRS auditor what they ask for, provide the requested records, and answer all questions honestly. If you can’t do that, there are other issues, and you may need to consult an attorney. Before your audit, read IRS Publication 1, also known as the Taxpayers’ Bill of Rights. As a taxpayer, you have the following rights: (1) right to be informed, (2) right to quality service, (3) right to pay no more than the correct amount of tax, (4) right to challenge the IRS’s position and be heard, (5) right to appeal an IRS decision in an independent forum, (6) right to finality, (7) right to privacy, (8) right to confidentiality, (9) right to retain representation, and (10) right to a fair and just tax system. If you have any questions about these rights, discuss them with your tax attorney. Be realistic with your expectations, and know that many people owe money after an audit. Review the auditor’s report to be sure that you understand and accept the results. If you don’t agree with the auditor, don’t be afraid to say so (and provide appropriate substantiation). You can also ask to speak with the auditor’s supervisor. You may be able to reduce the amount you owe. You can agree with all, some, or none of the audit changes. You can protest or appeal the un-agreed audit findings to the IRS appeals sections. These are still IRS employees, but they have no prior contact with the audit and offer a “fresh look,” have more discretion, and may be more willing to exercise that discretion (if there is a question, auditors tend to write it up and let someone “upstairs” make the call). The appeals officers will re-conduct the audit, and will not “horse trade,” giving in to you on one issue for your concession on another issue, so you have to provide valid reasons or substantiation for the issue. At the appeals level you can again agree with all, some, or none of the audit changes. Utilize Tax Court if necessary. If you can’t resolve the audit at the audit or appeals level, the IRS will issue a notice of deficiency, and you have 90 days (150 days if you are out of the country) to file a petition in Tax Court (there are NO extensions of this time to file a petition). The Tax Court is a specialized court based in Washington, D.C. that only hears tax cases, and it holds trial sessions around the country (in Kansas City or St Louis in Missouri), typically two weeks once or twice a year. You can appeal a Tax Court decision to the Circuit Court of Appeals (8th Circuit in Missouri), and apply for a Circuit Court of Appeals decision to the US Supreme Court, but it accepts few appeals presented to it. Amend your state tax return. Missouri and other states have requirements that you advise the state and likely amend your state tax return if you amend your federal income tax return or it is revised in an audit. This may result in your owing additional state tax. Are you prepared to survive a tax audit? If you live in southwest Missouri, contact the Carnahan, Evans, Cantwell & Brown, P.C. for help. Our experienced attorneys represent clients at all levels of tax controversies, including audits appeals, and filing a petition in Tax Court. To get started, please give us a call at 417-447-4400 or contact us online. We look forward to hearing from you!